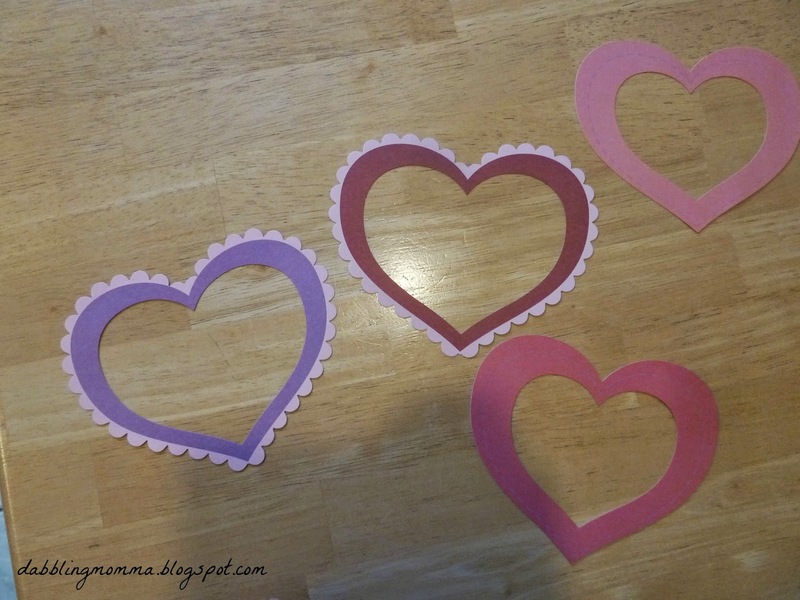 At the end of Valentine Season last year I picked up these cut out hearts from Target. They were in their clearance section for .88 cents, score!! I taped down some contact paper to the table (sticky side up), put the heart cut out on top and let my daughter create away. 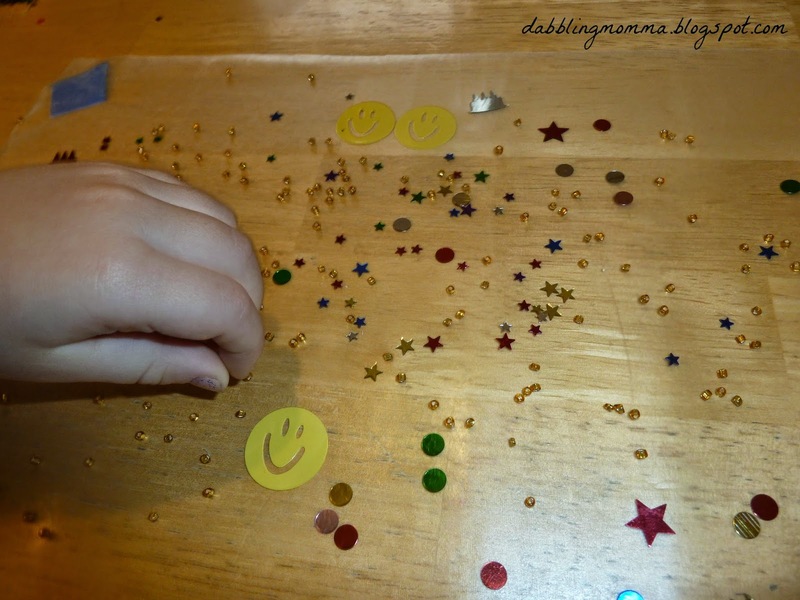 We had some confetti on hand, some teeny tiny jewelry beads and buttons that we used to decorate with. 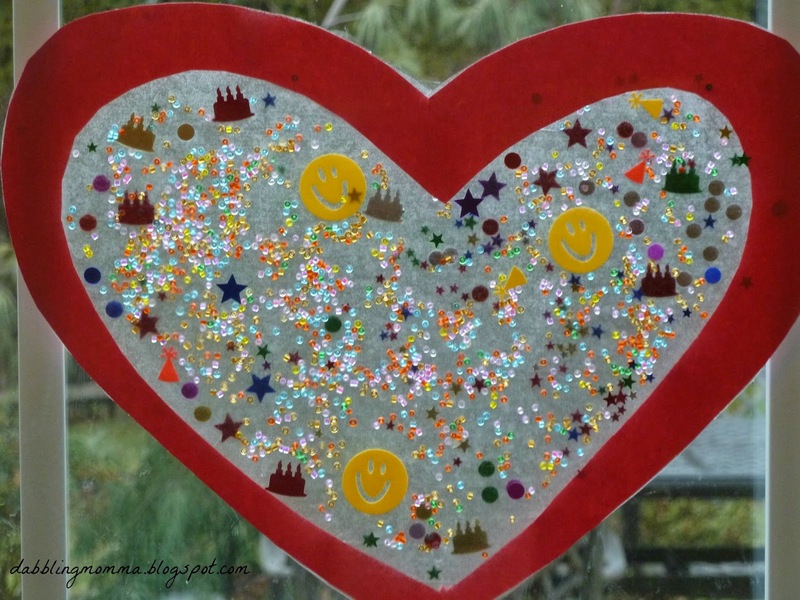 My 4 year old really enjoyed making these hearts. This was a craft in which I could do other things around the kitchen while she crafted away. 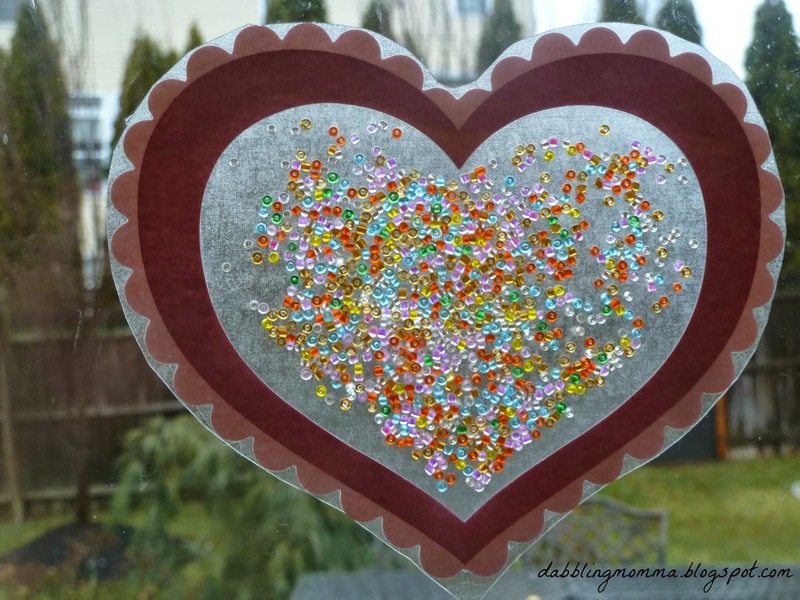 There was no right or wrong way to create with these hearts and other than running the vacuum to pick up some confetti there was no mess to deal with! 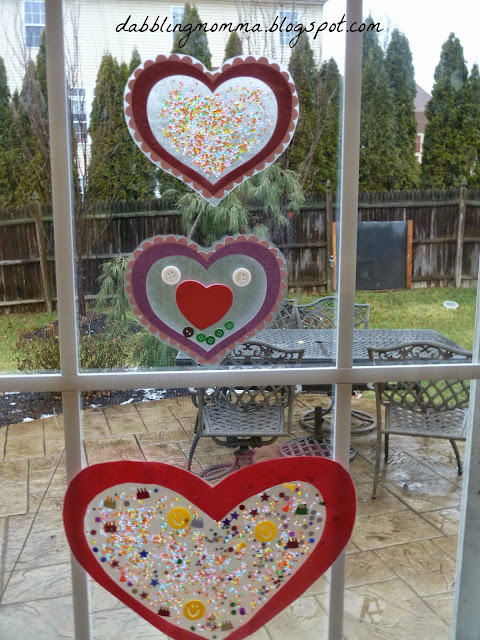 We decided to hang our hearts to our back door by using double sided tape. Start off by using painters tape to tape the contact paper to the table (sticky side up) This will help keep your contact paper from moving around. You could also use the double sided tape for this part. Using your scissors cut any excess contact paper off. Don't get mad but the confetti heart is my favorite. Do you mind if I add this to a round up if I do one this time? This is perfect and what my readers love. These really are lovely Susen. I will have to try these with my daughter. Thanks for the great idea. My daughter had alot of fun with this one too, Otilia! Thanks for stopping by. Adorable! Pinned to my valentine's board! This is great! We will be doing it for sure! Pinned. Thanks for pinning, Tiffiny! This was a fun craft for us. Thank you Marlene! Excited to be featured at a fun link up like Good Tips Tuesday! 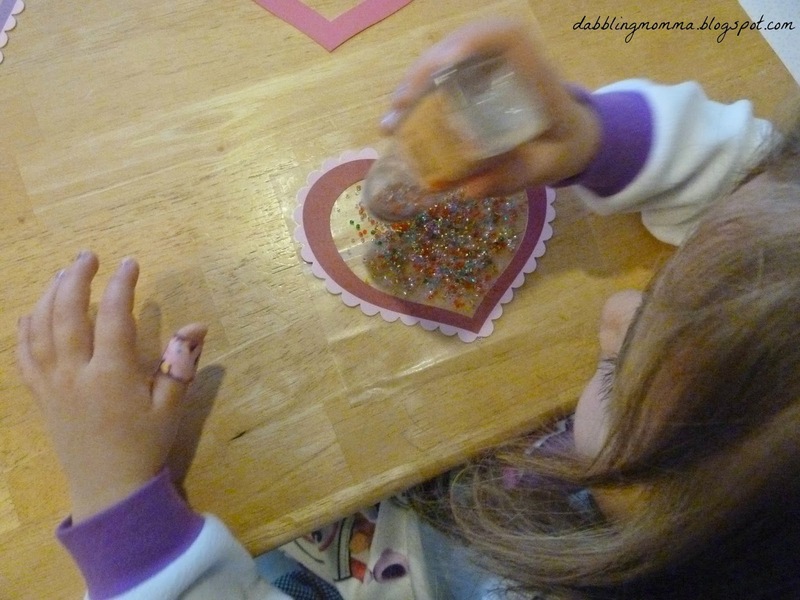 A very lovely way to decorate with the kids for valentine's day! 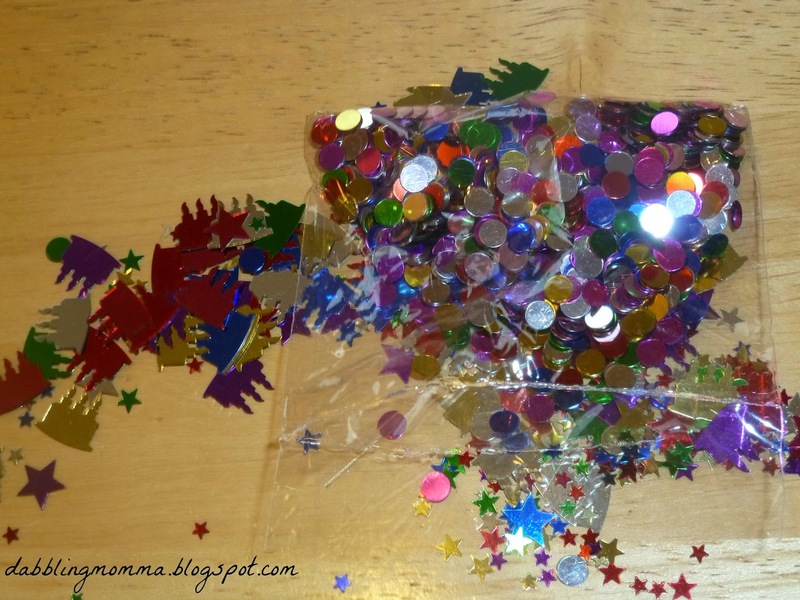 My daughter had so much fun with these and they are so pretty to look at!